About Blue Notes School of Music: Blue Notes has been imparting quality education in western classical and contemporary music since 2008. The school has helped create many music professionals and have successfully helped hundreds of students to complete the graded exams conducted by Trinity, ABRSM and Rock School. Blue Notes Ensemble has been actively promoting and engaging its students in various small mini concerts held around some of the popular venues in the city. It continues to provide a cohesive and a robust environment for learning music. 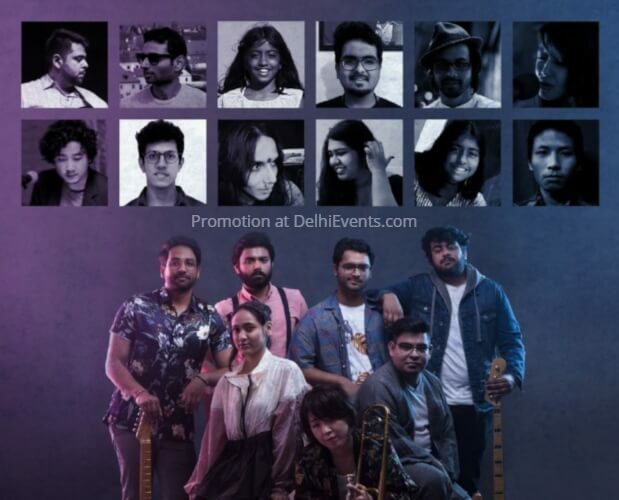 Be Right Back is a seven-piece Rhythm & Blues band from Delhi, India. The band was formed at Blue Notes School of Music and is a progeny of the Blue Notes Foundation program. Under the keen guidance of Sentirenla Lucia & Pranai Gurung, the band has incorporated a wide repertoire and plays an amalgamation of reworked Jazz, Blues, Soul and RnB tunes.